The Green Party is the fourth largest group in the European Parliament with 58 MEPs, working on issues as diverse as workers’ rights, energy, transport, fishing, international development, environmental protection and employment. 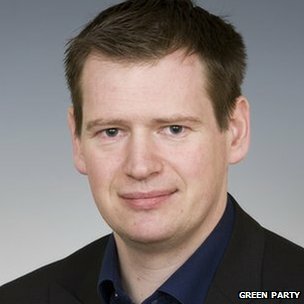 Peter Cranie lost out on a seat in the European Parliament by just 0.3% of the vote in 2009 and is hoping to break through this May. This entry was posted in National News and tagged Chris Davies, Farrage vs Clegg TV debate on Europe, Green Party European election candidate, North West our Lib Dem MEP, Peter Cranie by tamesidegreens. Bookmark the permalink.